I was Motocross rider since I was 4 years old and always had a BMX to play on days when not riding my moto. In 2005 I moved from my hometown to Botucatu, and Anonymous Trails were near my house, that’s when I started to really like the BMX. I got out of Motocross and I put BMX ahead of everything in my life. The conection I ever have with my bike, feel that good adrenaline and evolve every day more, it’s a different goal every day when we’re together. I like a more stylish ride, putting really beautiful tricks visibly, using the full extent and always going up/Big/High. Yes, but always connected to the BMX. 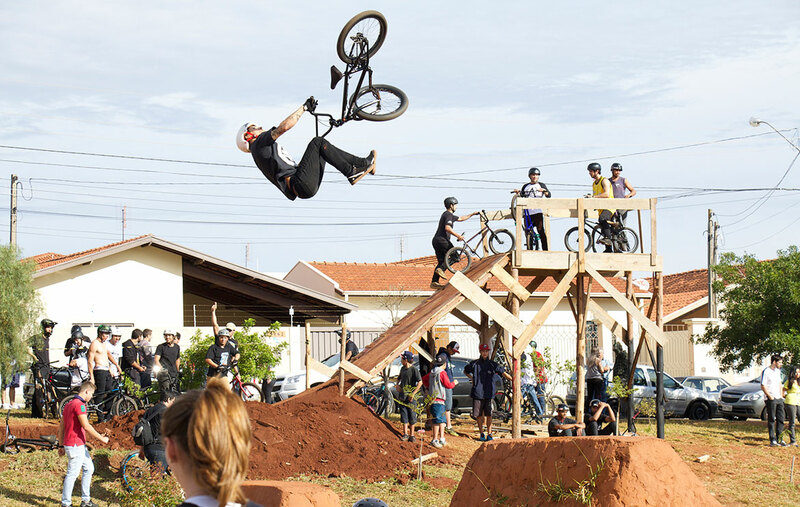 Helping to organize events, promote the brands that I represent and be on my press office in which I have support, always helping BMX to expand more in Brazil. The frame of Alex Hiam, Sweet Tooth. Two years ago I ride with this frame, I feel very good. Ride my bike, best job in the world! Red Hot Chili Peppers, Bliss n Eso, Portugal The Man, Rise Against and Villelisa are my favorite bands. I have my own park. It is under construction, has 1/3 of it done, a few more months and will be complete. But for now has a Jump Box with two huge Quarters.